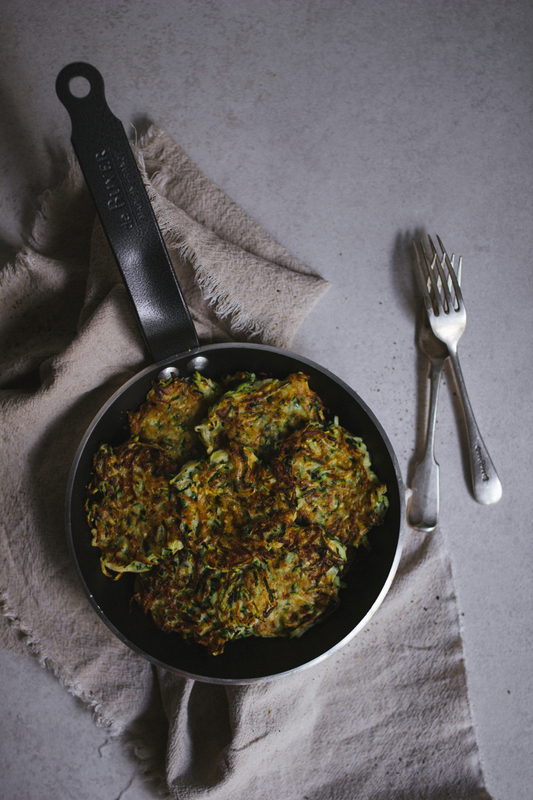 I told you so many times how much I love courgette fritters, did I? This is one of my top-5 breakfast things. 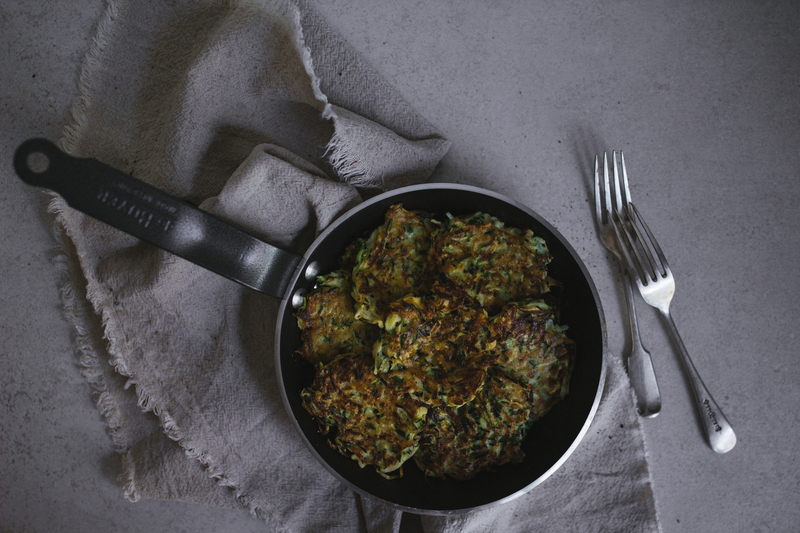 I make courgette fritters at least twice a week. I never get enough of them. Also they are so easy to make! It should be a healthier version with oven-roasting, but I like to fry them on non-stick pan and always add some dill or chives. 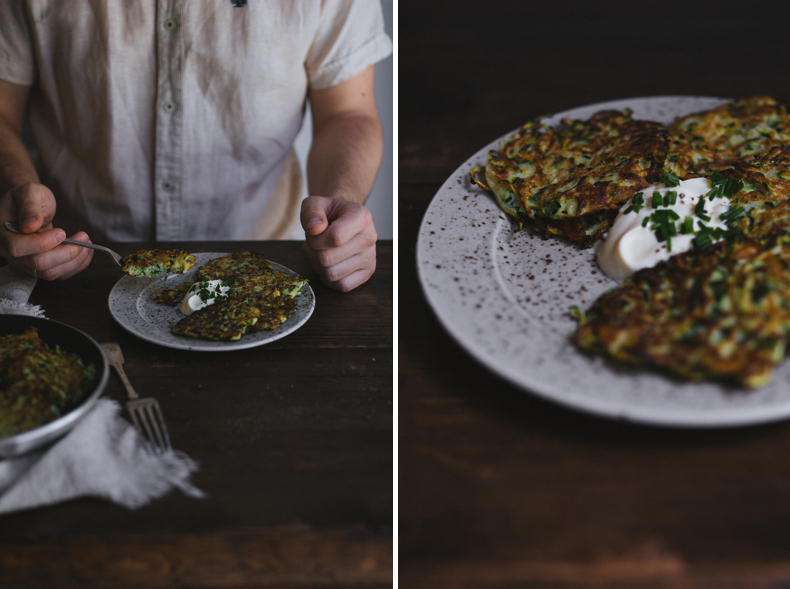 I recommend to serve courgette fritters with soured cream or creme fraiche. Have a look! 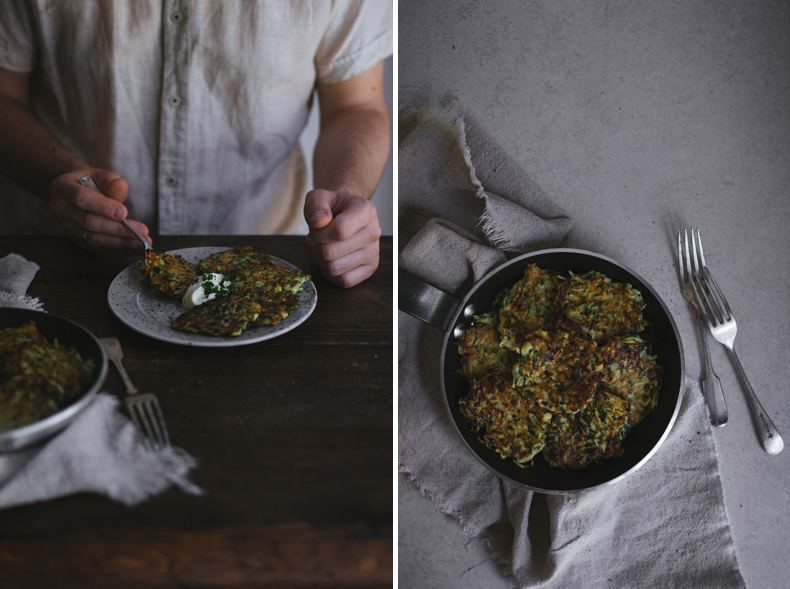 I don’t remember the first time I tasted these fritters, but it was my granny’s everyday dish. She made those fritters very often. 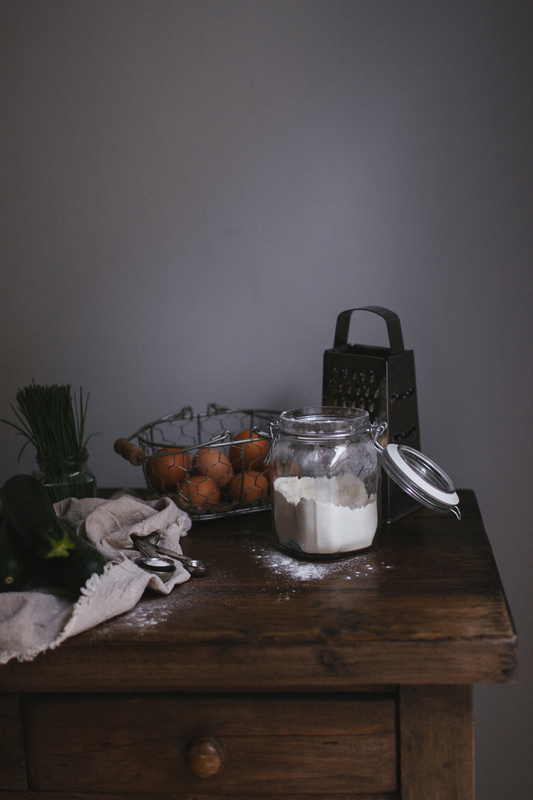 I remember her adding too much flour so she ended up having something looking like pancakes with grated courgette. Just flour and almost no courgette at all. 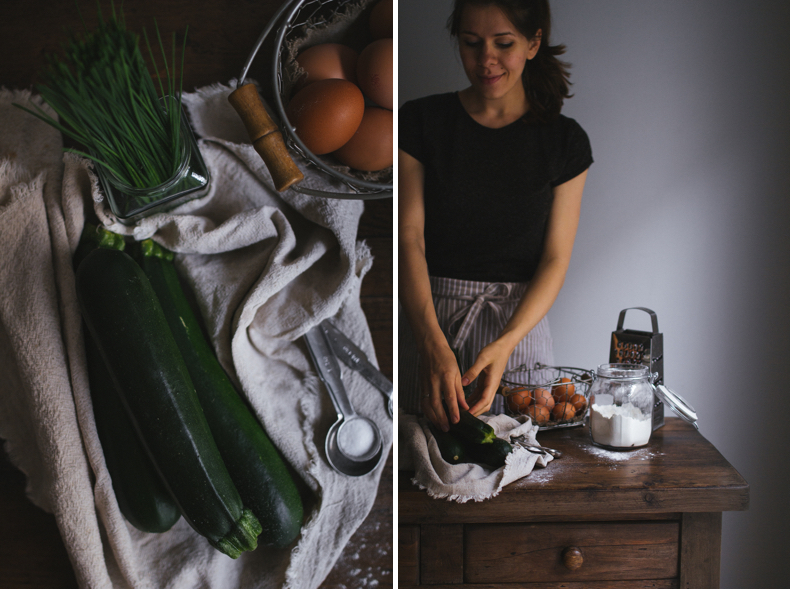 I love courgettes very much and that was why I didn’t like those pancakes with barely noticeable courgette hint. 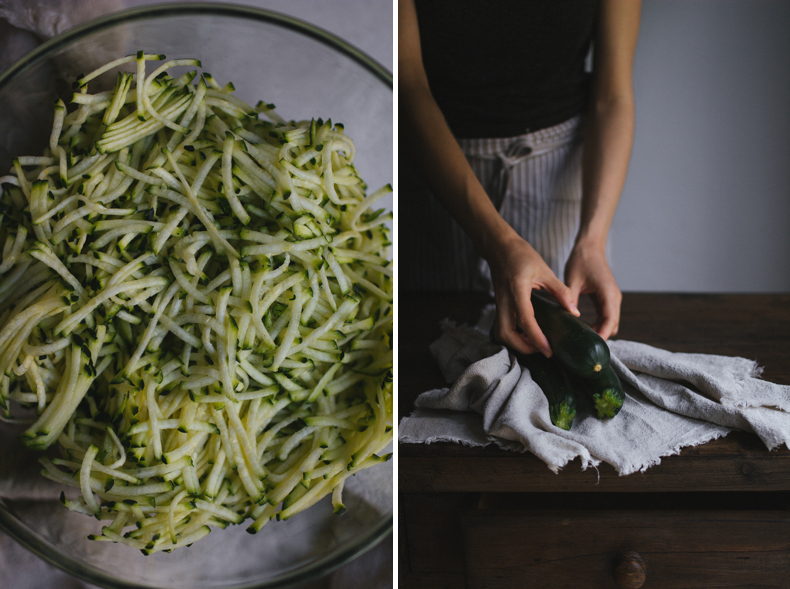 Long after that when I started to live together with my (now husband) Nick I decided to make something very “courgettish” with no flour. And I made these fritters which became mine and his favourites, truly. 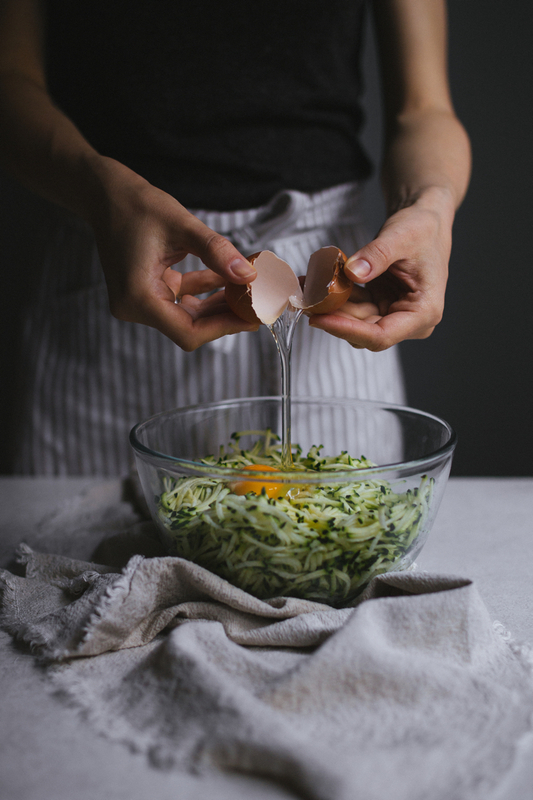 Combine grated courgettes, egg, flour, cut chives, salt and pepper in the big bowl. Mix well. Heat a non-stick frying pan, add the oil. Shape walnut-size balls. Flat them using a spoon. Fry the fritters for about 1-2 mins on each side until golden crust. 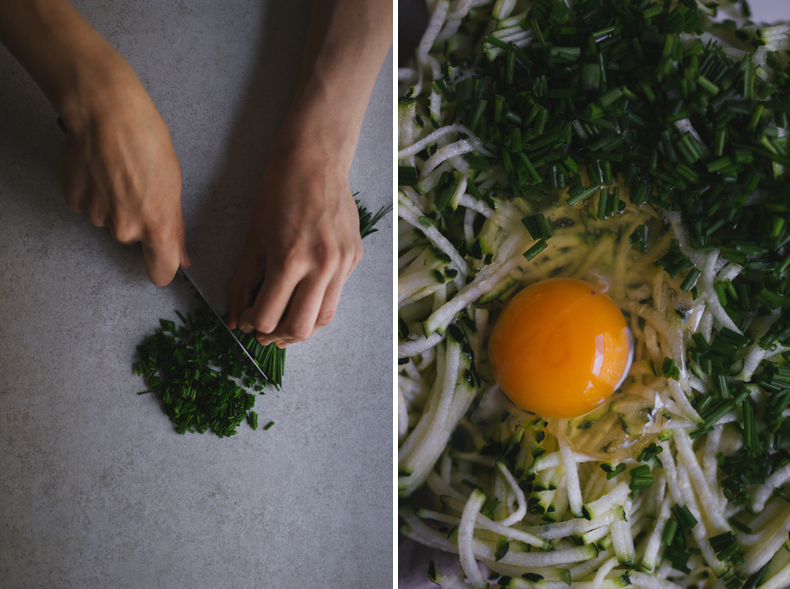 Serve warm with a tablespoon of creme fraiche or soured cream, sprinkling with cut chives.